ICF systems have been used in global construction for over 60 years, and they’ve become known as one of the most superior green building materials available. If you’re considering insulated concrete forms for your residential or commercial property, it’s important to understand how you’ll benefit financially and environmentally as soon as installation is complete. 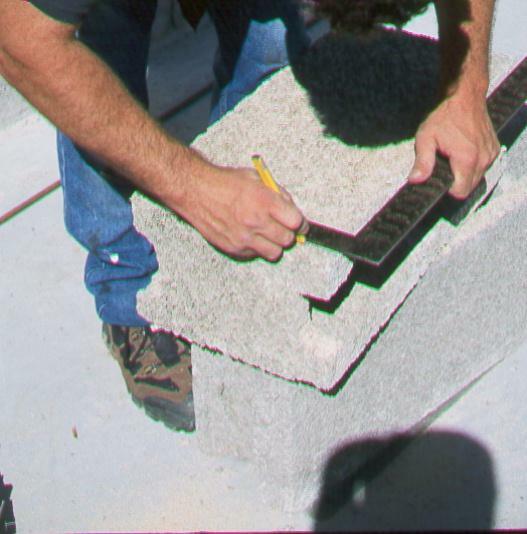 Here’s a quick beginner’s FAQ about Nexcem ICF blocks to help provide some insight regarding whether or not this material is right for your property. ICF construction blocks are essentially insulated forms that are filled with concrete and then left in place after the concrete is poured. They look like concrete blocks but don’t use mortar to keep them together. the building blocks of Nexcem ICF construction. The average ICF block is 10 inches in width, and when constructing ICF walls, only one row is constructed at a time. Once you have stacked the blocks for a floor level, the blocks are all filled with concrete at once. End blocks are cut to fit to reduce waste. Nexcem ICF blocks are hollow and made from a unique combination of cement and mineralized wood fibers. They are the only ICF that doesn’t use foam. of a strong type of foam . To install the blocks, they need to be stacked into the right shape, reinforced, and filled with a concrete mixture. What makes Nexcem ICF blocks environmentally sensitive and efficient? In addition to the waste reductive installation process, ICFs are also known for their insulating properties. In fact, according to the U.S. Department of Housing and Urban Development, Nexcem ICF walls can save homeowners 20% to 25% on annual heating and cooling costs. ICFs are considered a long-term investment in a property’s structural and environmental efficiency. Overall, experts say that Nexcem ICF systems can cut final costs on a property by an estimated $0.75 per square foot. The big difference with Nexcem is that it is made from recycled waste wood diverted from the landfill. They use clean softwood lumber waste from truss manufacturers. What are the structural benefits of ICFs? Nexcem ICFs strengthen a building in more ways than one. Buildings constructed with ICF are six to nine times stronger than traditional buildings. Not only that, but ICF construction is capable of protecting properties from natural disasters because they’re capable of withstanding 402 kph winds. This means that during a tornado, earthquake, or hurricane, your home, family, and belongings will be kept safe and sound, which is something you just can’t put a price on. Ultimately, Nexcem ICF blocks are considered the building material of the future in many ways. If you feel as though you’re ready to make a sound investment in your residential or commercial property’s energy and financial efficiency, contact us today to discover how we can help.